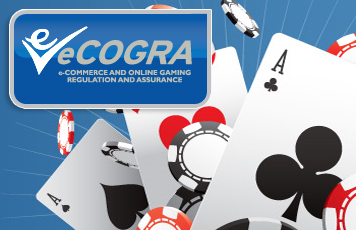 London, 19 May 2010 – One of the online gambling industry’s longest established software development companies, Calgary-based Chartwell Technology Inc., has successfully passed the rigorous requirements of the eCOGRA Certified Software seal. Chartwell joins a growing list of tier one industry software companies that includes Microgaming, bwin Games, 888.com, Boss Media and Partouche Technologies, all of which have met the international standards of the London-based independent player protection and standards non-profit organisation. Chartwell Flash-based software powers many respected online casinos operated by industry leaders such as Betfair, bwin Interactive, Victor Chandler, Gala Coral, Stan James, Casinos Austria International, and Gaming VC’s Betaland, and the company holds licenses from several top iGaming jurisdictions. Clinton Begin, Vice President of Software Development at Chartwell, said that the decision to seek eCOGRA certification was motivated by the company’s commitment to ensure that its product meets respected and practical standards that have achieved international recognition. “This was a good test of all our development, business and control systems, and I believe we benefited from the full professional assessment and recommendations made by the eCOGRA compliance auditor on his inspection visit to our Calgary facility. eCOGRA Compliance Manager Shaun McCallaghan carried out the on-site inspection and assessment, observing that the Chartwell facilities had been well organised. eCOGRA chief executive Andrew Beveridge congratulated the management and staff at Chartwell and said that accreditation was only achieved following a rigorous inspection regime which encompassed every aspect of the company’s software development activities, and was followed by sustained monitoring and annual reviews. Founded in 1998, and with over 100 employees in Calgary, London (UK), Singapore and Malta, Chartwell is publicly traded on the Toronto Stock Exchange (TSX) under the trading symbol TSX:CWH. The company specialises in the development of internet games, gaming systems, and platforms for the regulated online casino gaming industry. It is not a gaming operator; its clients own their brands and databases entirely and exclusively. Chartwell is certified or licensed to offer a range of services in all of the leading regulated online gaming markets. The company’s highly qualified technical team is committed to delivering the highest quality software and maintaining its market edge through continuous development and quality customer support. Chartwell is a corporate member of RGA, the Remote Gambling Association.